CMO vs. CDO vs. CCO vs. CPO. As you know I have been a big advocate of the CMO owning the key customer outcomes, but what I’m seeing more and more recently is businesses have bought in more expertise in certain areas such as digital, or customer experience and the lines of customer ownership and key outcomes has blurred causing confusion about who ‘owns what key outcome’. Likewise, there is starting to be a few articles that the CMO as I define it, haven’t been delivering. So this space will be fuzzy for a while. With the inevitable turf wars it will be interesting how it plays out. Agile beyond IT – If you aren’t over it already, this is the year you are going to hear a lot more about agile, agile marketing, agile finance, agile at scale. A number of our clients are investing in agile at scale, and driving for the transformation and benefits that it delivers. The two things I see from this are 1) the death of the traditional GM roles and 2) a lot of uncertainty from the more established businesses as the way of doing things gets tipped on its head. There will be chaos and a few bloody noses but out the other end of it the promise is businesses will be leaner, faster, outcome and customer focused. You will also start to hear more about servant leadership, as JT pointed out at the end of last year. Flexible resource – At The Exponential Agency, we see this as we help businesses solve difficult problems where they don’t have the capability or capacity to solve internally. What we see more and more now is businesses are more flexible, open and responsive to bringing in expertise to help them accelerate their business. This, in turn, changes the dynamic in the wider workforce, with a growth of specialists working with multiple clients at one time. The rise of online shopping – Online spending will continue to rise in NZ, with online spend at an estimated 8-10% of all retail and approximately 45% of online retail coming from offshore. One interesting fact I read over the summer break is that in the US 44% of all online retail is either on Amazon or Ebay. 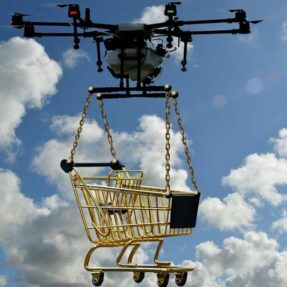 So, despite the lackluster launch of Amazon in Australia late last year, how will NZ retailers react to a new marketplace? Do they see it as a threat to their own market (and therefore need to get their act together in the online space), or do they see it as an opportunity to enter the Amazon marketplace and open up their offering to the Australian market? As a side note, and the always dangerous sample of one, we have subscribed to unlimited deliveries from Countdown, and it has been a game changer. No longer do we have to head to the supermarket two or three times a week. The delivery subscription at $5 per week has literally given us back a couple of hours a week – that is a compelling business case. The continued rise of the consumer – The consumer is now swimming in transparency and almost have perfect information. Trust comes from peers rather than brands telling them how great they are and products are now morphing into experiences. Keep up, be authentic or your customer will fire you. Sharing economy – I’m really interested in the rent vs. own model, what will be the next true sharing economy company. The model seems to work best where there is a high capital cost and low utilisation, such as accommodation (AirBnB) or cars (Uber). The model I have watched for a while is turo.com where you can rent out your car when you are not using it, you can get an ugly Crown Vic for $17 a day through to a Tesla for $128 a day. NZ has www.youdrive.co.nz. I’m interested in seeing what the next categories are that have high capital cost and low utilisation and their transition to the sharing economy. Content Marketing – Content and inbound marketing will continue to take more marketing dollars as brands aim to have a direct relationship with their customers. Moving beyond straight blog content, this will be truly adding value to the customer, and will be led by video and become more interactive. I know the irony, that this is still a written blog but watch this space. 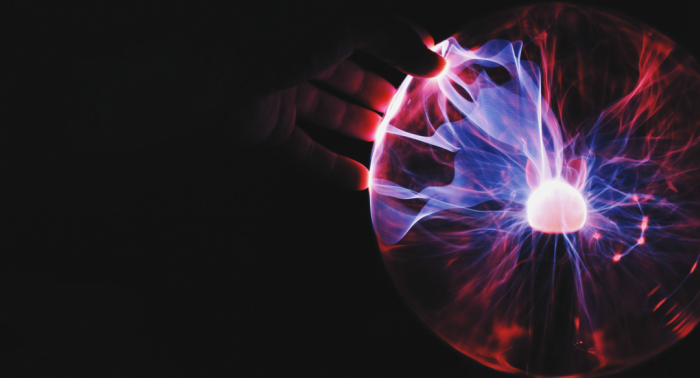 Data is the new oil – This saying has been around for a while but the promise is only really starting to be realised. We are doing a lot of work helping clients with their data strategy and execution, which will then lead to them unlocking the potential. Data will underpin customer experience, personalisation and give the business and consumer better outcomes. Customer Experiences – probably one of the hardest things of a legacy or existing business to get right, but customer experience will continue to be king. Customer expectations continue to rise and touch points and channels are proliferating. Those that invest in it will win and those that get it wrong will be punished. A continued shift away from big bag marketing to always on – There will always be the need for big product launches and Super Bowl ads but linked agile marketing and content marketing will move more to a test and learn strategy, and the new metric we will start to hear is Cost-Per-Experiment. There are so many channels for marketers to use now they need to run experiments, measure outcomes and optimise. The tools and tactics around marketing will continue to change but the underlying premise will be the same – great marketing happens when you solve a customer’s problem, are authentic and emotionally connect with them. Crypto – will become useful – This is a bit tongue and cheek as there are really two parts to Crypto that I’m mixing here 1) There is cryptocurrency and 2) the underlying technology of blockchain. While I think that Crypto currency such as Bitcoin will continue the wild ride (in Dec it peaked at US$19,499 (up 2,525% year on year ) to crash to $6,839 (losing 65% of its value since Dec), in what The Economist called the world’s first global bubble. But the underlying fundamentals of decentralised systems, distributed ledgers, smart contracts and borderless transactions will solve a number of business challenges and will become truly useful and transformative. Until we get there it will continue be the wild west with new ICO’s. I can see some people making millions and some losing their shirts. If nothing else, it is going to be a great ride. If you are confused about blockchain and cryptocurrency I highly recommend listening to this podcast or reading this site. Where did the big IT spend go? – Really this is a continuation of the existing trend with more and more technology spend being dispersed across the business and moving to cloud and SaaS platforms with per seat pricing. What does that mean for the big IT projects? What does that mean for enterprise architecture and what does it mean for the flow of data (how safe is it?)? What are the biggest trends you are watching? 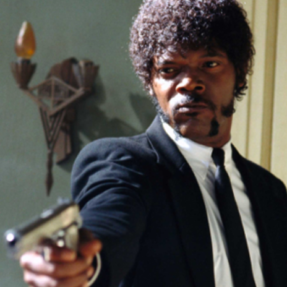 Say “Digital Transformation” one more time! (part 1) Achieving a successful outcome from asset rich, high cost, high legacy to lean, agile low cost and high value is a huge task. It involves self surgery to a degree that most will find highly uncomfortable and for many, ultimately fatal. This is precisely what it takes if you are to survive and maybe thrive. I might have my dates wrong but it doesn’t matter With Amazon opening in Australia this week being the best in NZ isn't good enough now, we are competing with the best in the world. They are on our doorstep, are you ready?